20 Healthy Homemade Halloween Treats - All Vegan Recipes! Halloween is almost here and that means the arrival of sugar, sugar and more sugar! However, just because you’re sure to be inundated with bulk mini-candy bars, doesn’t mean you can’t do your own thing with these healthy homemade Halloween treats! I guarantee these homemade treats will taste better than scary Halloween candy bars and the wholesome ingredients will be much friendlier on your body. 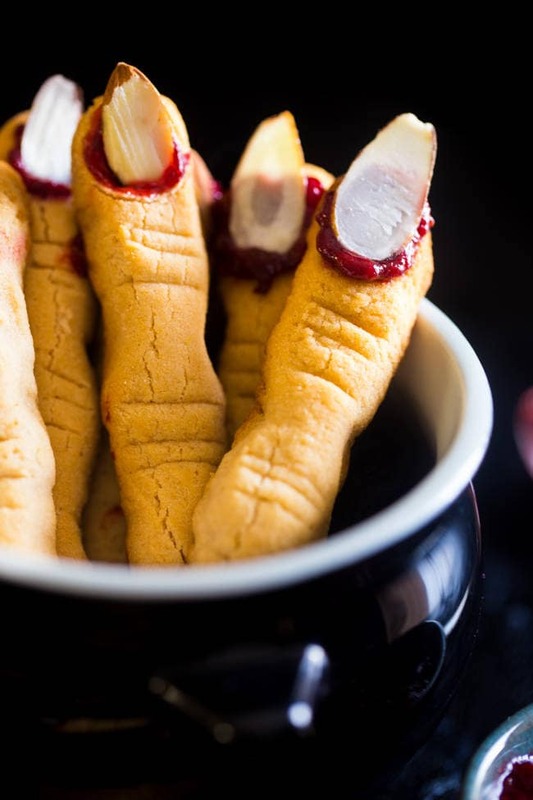 I love this recipe for Vegan Witch Finger Cookies from Food Faith Fitness and they’re sure to a hit with both kids and Halloween-loving adults. You only need a few simple ingredients like coconut flour and coconut oil to make them. Easy as can be, just a few ingredients, loaded with maple spice pumpkin butter and a perfect Halloween treat. 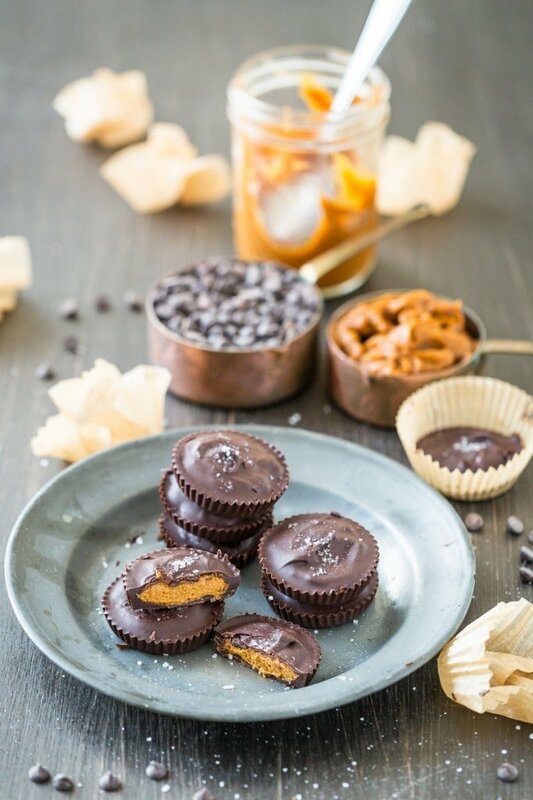 My own recipe and the perfect alternative to Reese’s Peanut Butter Cups. The filling is sweet and salty thanks to a secret ingredient! I love how simple this recipe is, just like traditional rice crispy squares but without the butter and sugar! All you need is cereal, peanut butter, maple syrup, peanuts and vegan chocolate chips. Heading to a last minute Halloween party? 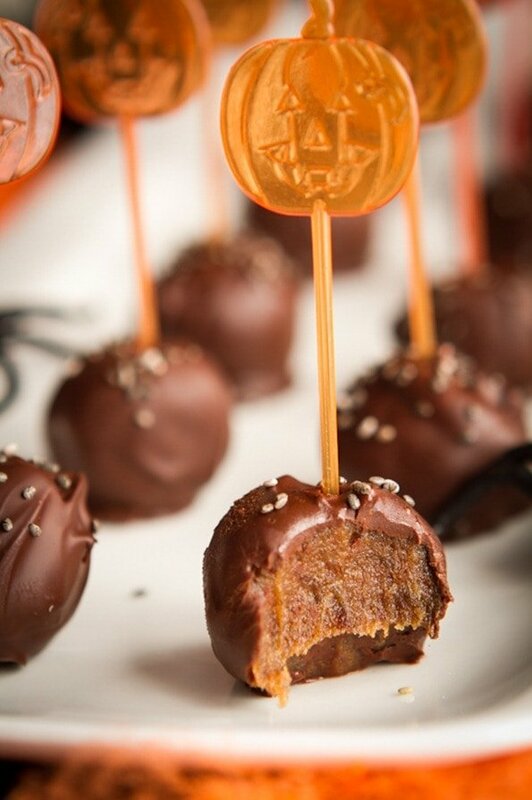 Perfect, you only need a few minutes to make these healthy homemade Halloween treats! Plus, with pantry ingredients like cocoa powder, coconut oil and maple syrup, chances are you have everything you need! 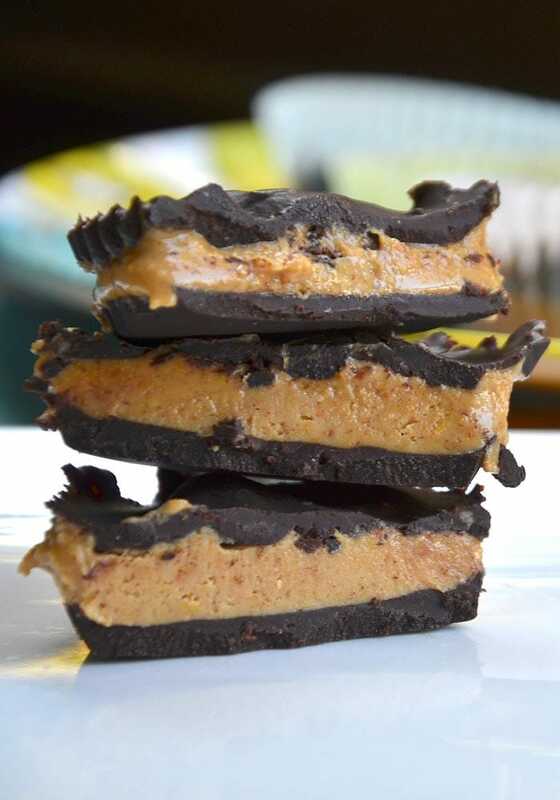 You’ll need mulberries to make these Raw Vegan Butterfinger Bars. Mulberries are one of my favourite ingredients and you should be able to find them in your local natural food store, possibly in a well-stocked grocery store and if not, they’re readily available online. Other than that about all you need is peanuts, sweetener and chocolate! 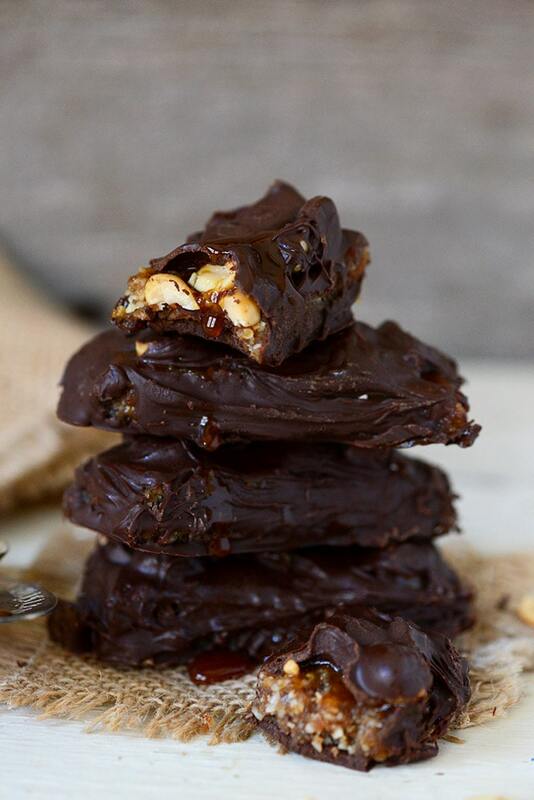 There are a number of excellent homemade vegan snicker bar recipes online but I decided to include this one for it’s simplicity. They have good reviews, are easy to make and sound amazing! 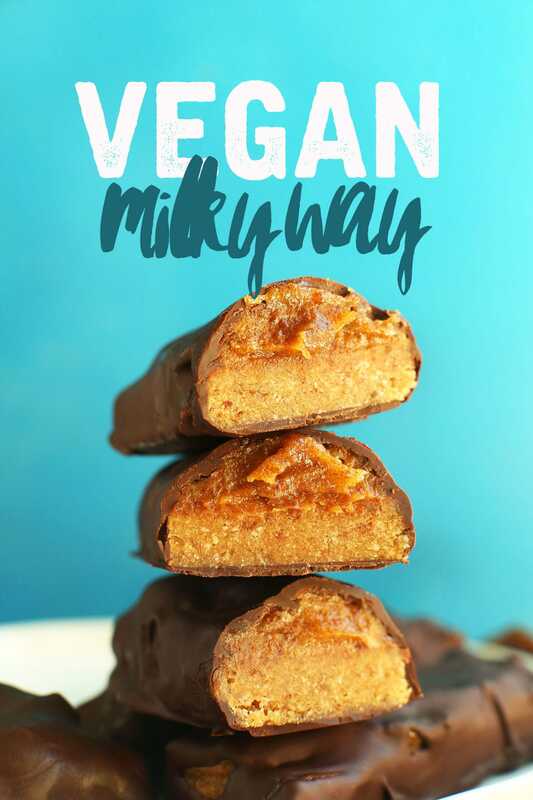 With just a handful of ingredients and minimal work, you’ll be ready to enjoy these amazing Vegan Milky Way Bars from Minimalist Baker! 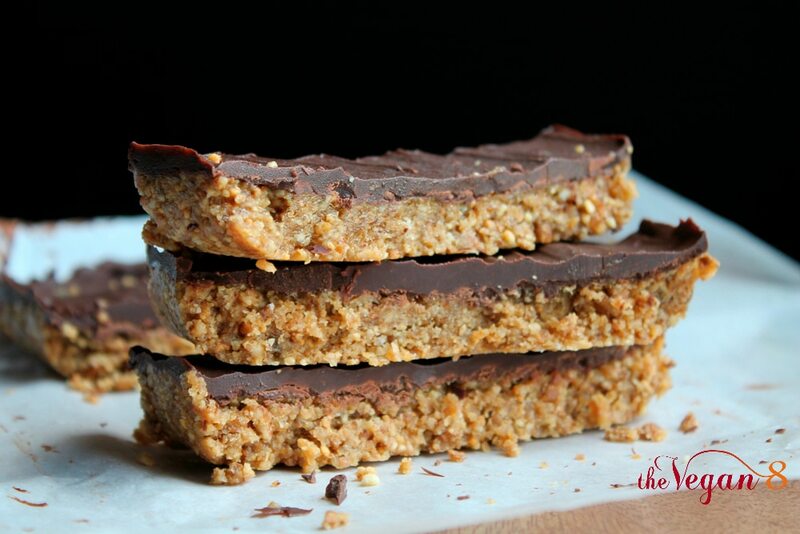 These 3 step vegan Twix bars are fairly straightforward to make and any effort required will be well worth it. 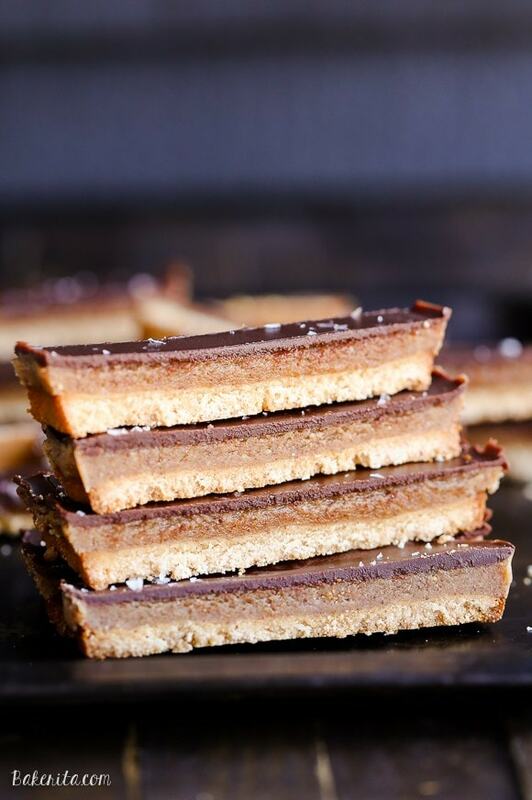 Simply whip up the shortbread crust, followed by the caramel and finally the chocolate coating. They don’t require any baking made with coconut flour, coconut oil, sweetener and almond butter. I love the ingredient list in these Healthy Pumpkin Snickers Bars. They’re easy to make and cut into mini-sized bars are perfect for Halloween! 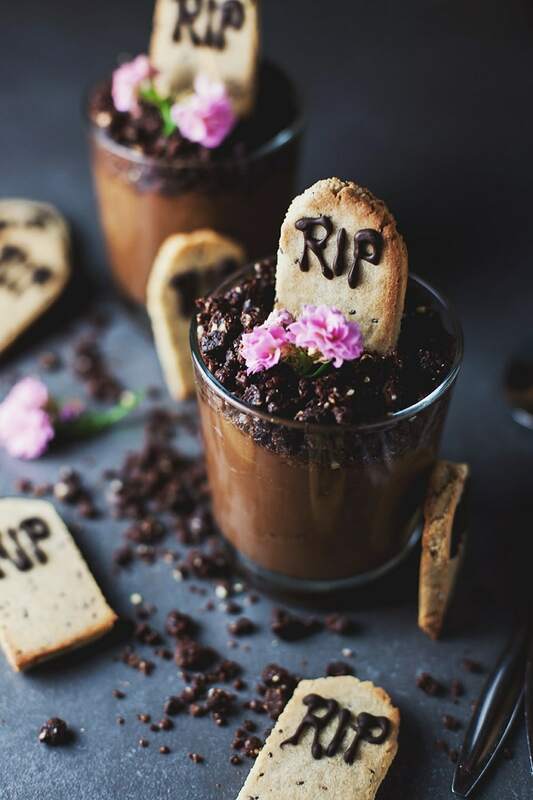 How cute are these adorable graveyard mousse pots from Wallflower Kitchen?! The mousse is made from avocado, maple syrup and cocoa powder with a raw energy bar crumbled on top. You could make your own “dirt” by blending dates, cocoa powder and coconut or nuts until it forms a dough, then crumbling it on top. The little tombstone cookies are made with ground almonds, lemon and poppyseed for a yummy, citrus twist. These may take a few steps to assemble but they’d be a hit at any Halloween party or scary movie marathon. 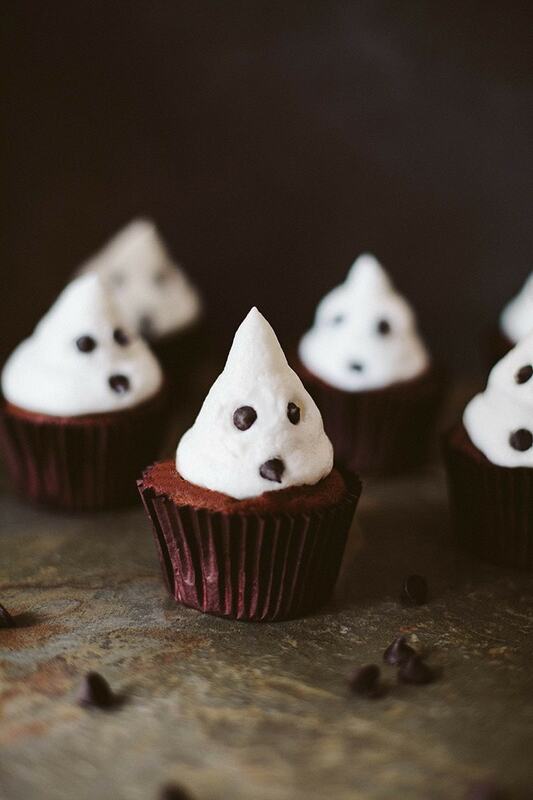 The ghosts for these little cupcakes are actually made with the 2-ingredient Marshmallow Fluff by Chocolate Covered Katie which is easy to make with just a can of chickpeas and some sweetener! Use it to top your favourite chocolate vegan cupcakes and then create the ghost’s face using a few vegan chocolate chips! There is also a version of these on Sarah Bakes Gluten-Free that are made with a buttercream frosting instead of the marshmallow fluff. The fluff would be the healthier of the two options but both would be delicous! 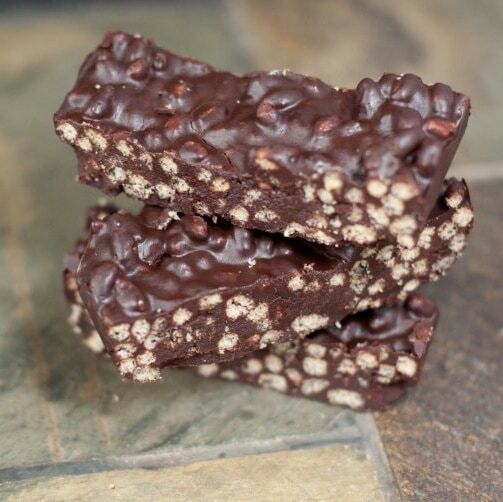 Homemade almond joys bars are really easy to make with simple ingredients. Basically all you need is coconut, coconut oil, sweetener and melted chocolate and who doesn’t love the classic coconut and almond combo! 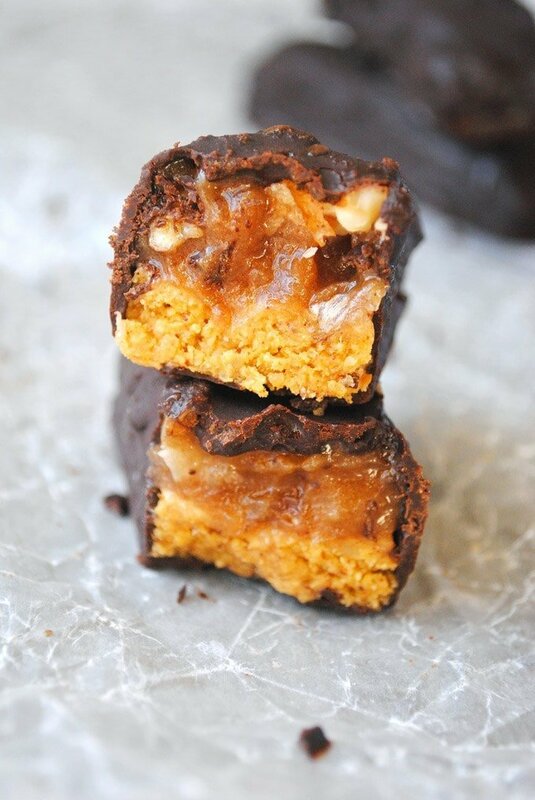 This is the second vegan snickers bar recipe on the list but these are so easy to make they had to be included. 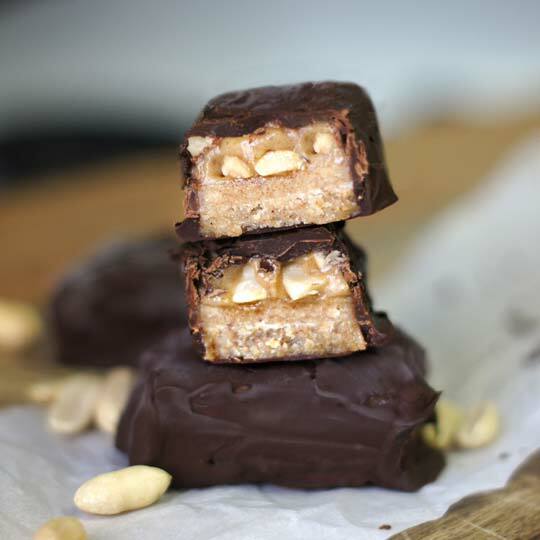 If you’re short on time and ingredient, try these awesome 5-Ingredient Vegan Snickers Bars from Minimalist Baker! 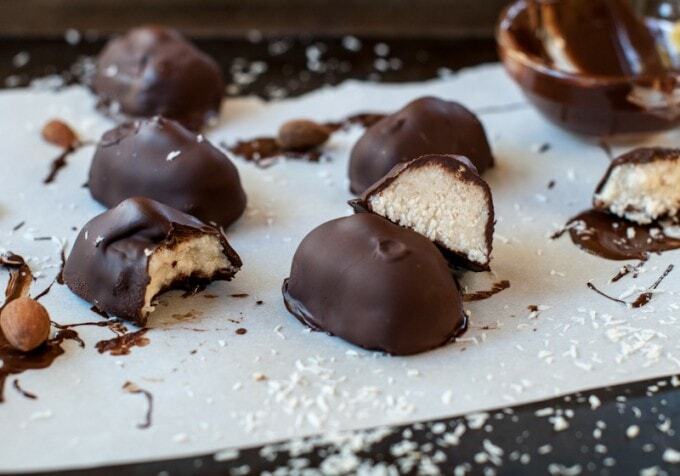 What list would be complete without a recipe for raw vegan chocolate! 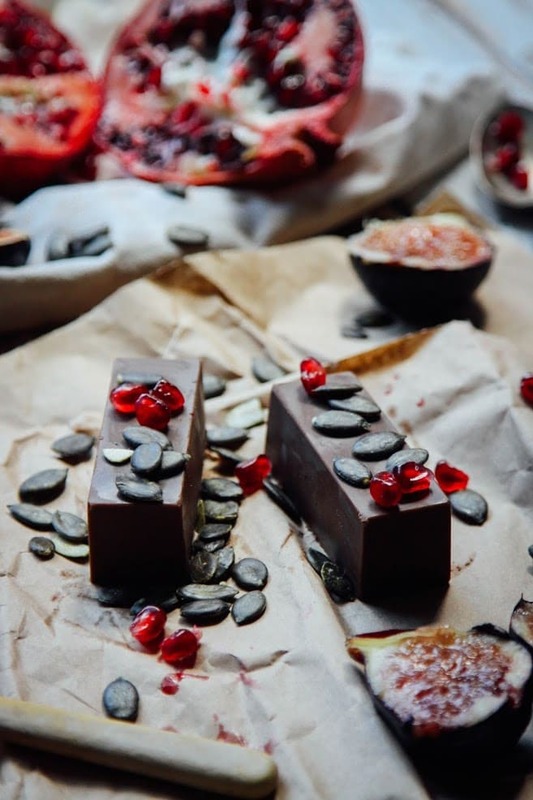 Making raw vegan chocolate at home is simple, all you need is coconut oil or cacao butter, cocoa or cacao powder and a sweetener such as pure maple syrup. I’m including a few recipes here because there are various ways to make vegan chocolate at home. Depending on how much work you want to put in and how exact you want to be will determine just how incredibly delicous the final result will be. When I need a quick fix without much effort, I simply stir together approximately equal amounts of cacao powder, maple syrup and coconut oil, pour into silicone baking cups, top each with a pinch of sea salt and let them sit in the freezer until solid. 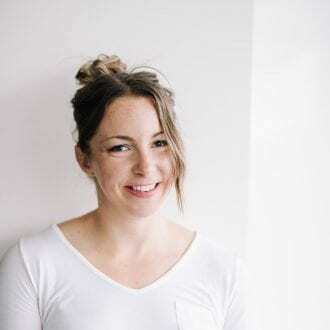 How perfect are these healthy apple bites from Oh She Glows! 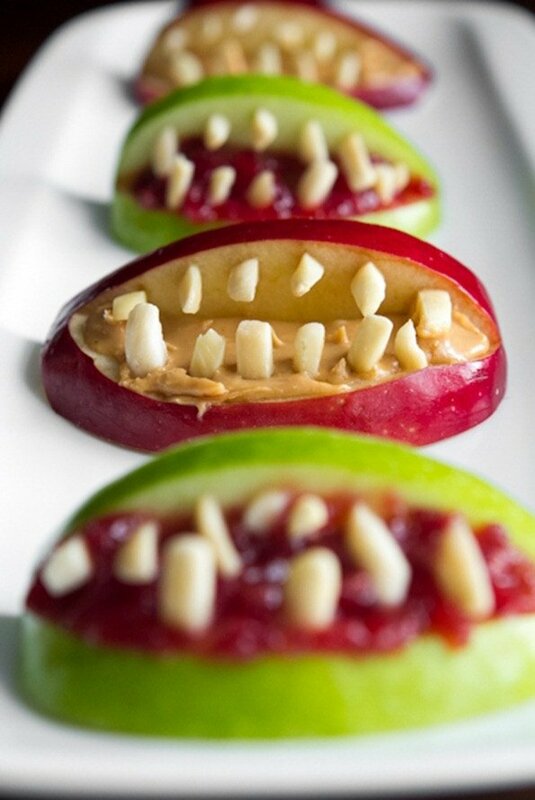 These would be great for any Halloween party spread or just for a fun, healthy Halloween-themed snack. You can’t go wrong with apples, almonds and peanut butter! 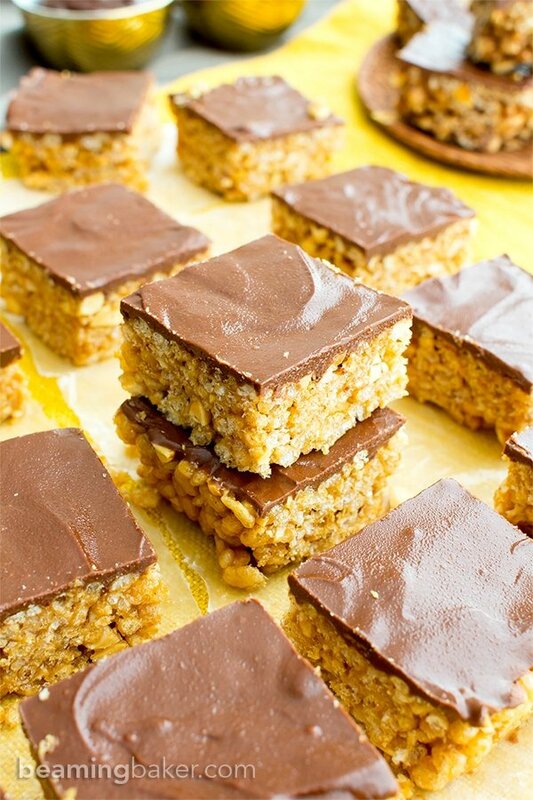 You don’t need much to make these vegan peanut butter rice crispy treats. 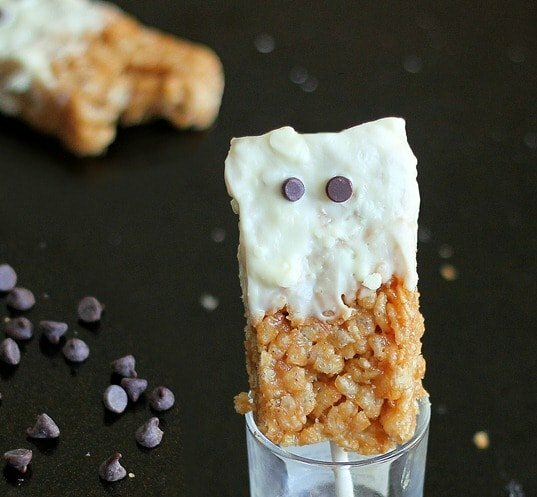 They’re just delicous on their own but coconut butter, popsicle sticks and vegan chocolate chips turn them into cute Halloween ghosts! Perfect for the party spread table! 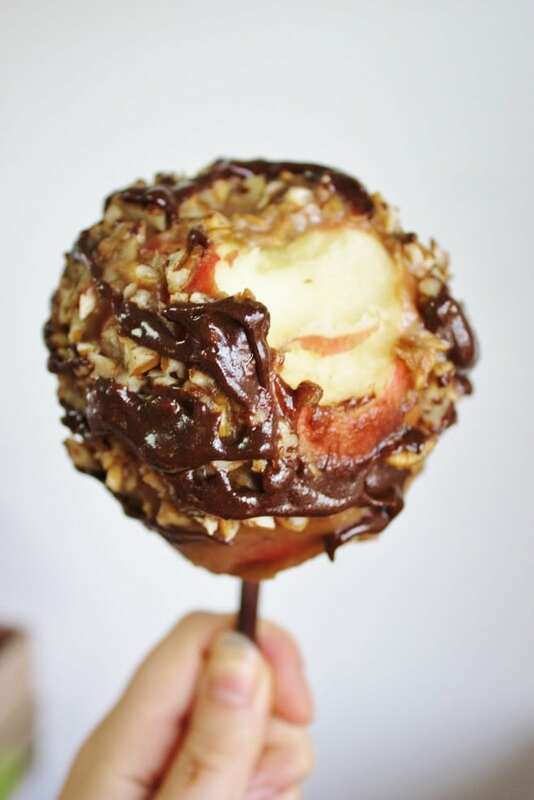 There are a few amazing vegan caramel apple recipes out there and it was really hard to choose just one. I love this one from Rawsome Vegan Life but these Medjool Date Caramel Apples are also amazing! I’m definetely making these for Halloween! What’s Halloween without popcorn balls, am I right? Actually I seem to remember never wanting these as a kid, like you would always try to trade them for something better. But now? Oh, man. I’ll take them all, please! 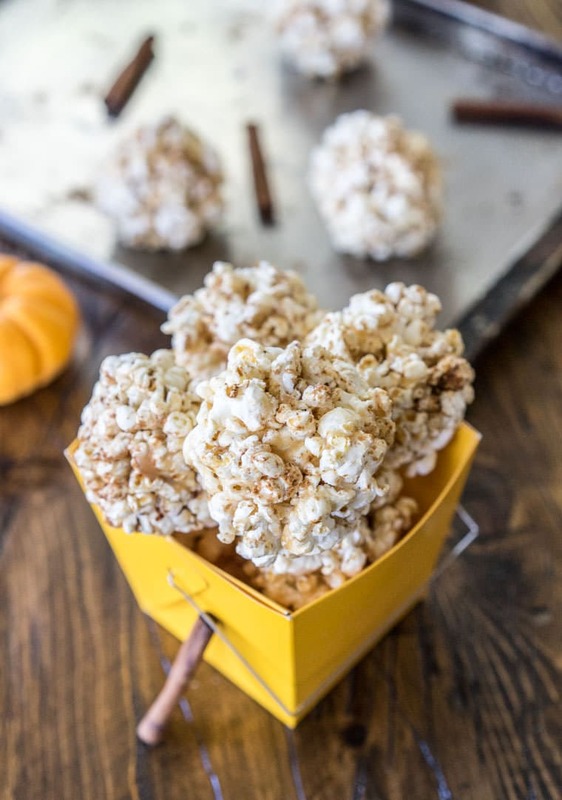 I love these Cinnamon Bun Popcorn Balls but don’t miss these Dark Chocolate Drizzled Popcorn Balls from Tasty Yummies either. Rolo was never my favourite candy growing up but homemade chocolate date balls on the other hand? Definitely a favourite of mine. I love date caramel and date caramel coated in vegan chocolate is even better. Add a plate of these 5-ingredient raw vegan Rolo knock-offs to your Halloween party and everyone will be asking for the recipe! It wasn’t easy to narrow this list of healthy homemade Halloween treats down to just 20 recipes. Even harder will be where to start?! Thanks to all the bloggers included for their amazing recipes! HAPPY HALLOWEEN! I tried making the vegan caramel apples, delicious! Will save this recipe for next year! I think I’m going to have to put in some extra brushing and flossing time.